This painting is in the "Portraits of Influence" series. This painting is in the "Portraits of Influence" series. 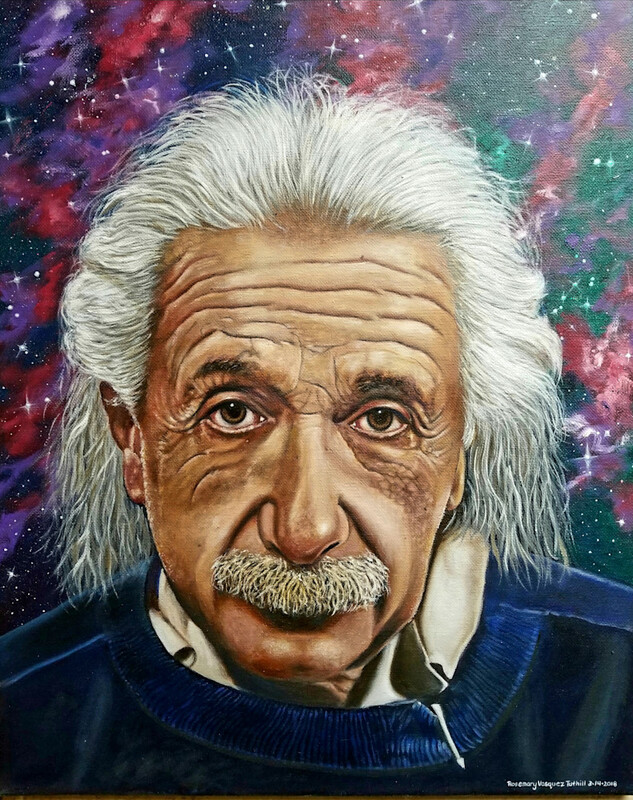 According to Walter Isaacson, "He was the greatest mind and paramount icon of our age, the kindly, absentminded professor whose wild halo of hair, piercing eyes, engaging humanity and extraordinary brilliance made his face a symbol and his name a synonym for genius: Albert Einstein." The background for this painting is that of space reflecting the final frontier he helped to open.